Not only is the GlobalPost story false, but the author, a leftist restaurateur named Peter Gelling, has himself been ensnared in a controversy involving antiblack racism (more on that later). GlobalPost is a “content partner” of NBC’s, and it occupies that unique space in the blogosphere between hoax news sites like Daily Currant and clickbait sites like Upworthy. Sites like these”I”ll call them “click-fake” sites”take genuine stories and exaggerate them just enough to up the chances of getting hits and shares. There are click-fakes on the left and right. A good example on the left is Addicting Info, and a good example on the right is Independent Journal Review. What they have in common is that they usually employ non-journalists. Addicting Info’s star columnist Nathaniel Downes is a videogame designer. IJ Review’s ace scribbler Michael Hausam is an insulation installer. The routine use of non-journalists makes it easier to ensure that no one carps about being asked to “embellish” the truth. Authors can”t strive to adhere to ethical rules they never learned. The “GlobalPost” story began with the line, “White Americans are the biggest terror threat in the United States, according to a study by the New America Foundation.” This is a blatant misrepresentation of the report, which studied homegrown terrorism, and which only mentions race in passing. And the mention it DOES make of race blatantly contradicts the fraudulent way in which “GlobalPost” presented the story. According to the report, since 9/11, of homegrown terrorists who have been charged (or who died following the commission of their acts), 277 were “Jihadists,” and 183 were non-“Jihadists.” Broken down by race, the report describes 198 homegrown terrorists as Caucasian, and 262 as non-Caucasian. The numbers you cite are correct, but they have to do with numbers of people charged with terror-related crimes. We instead focused on the number of attacks carried out””lethal terrorist incidents” since 9/11 on US soil”as the measure of threat. The New American Foundation found that almost twice as many lethal terrorist incidents were perpetrated by non-Muslims, and nearly all of those perpetrators were white Americans”many of them with explicit ties to white supremacist/non-jihadist extremist groups. Attacks by these individuals caused 48 deaths in the period studied, vs. 26 deaths from jihadist attacks. Hence, the lines “White Americans are the biggest terror threat in the United States, according to a study by the New America Foundation,” and “The Washington-based research organization did a review of “terror” attacks on US soil since Sept. 11, 2001 and found that most of them were carried out by radical anti-government groups or white supremacists” are false because you are substituting your own definition of “threat” and “attacks” (lethal ones only) and claiming it’s the report’s definition, which it is not. I can only conclude that you allowed this demonstrable misrepresentation on purpose in order to get hits. Bravo. Naturally, there was no further response from Lizzy. But there is another interesting angle to this story. Peter Gelling, the author of the fraudulent GlobalPost story, is co-owner (along with his wife, chef Retno Pratiwi) of a Boston catering service and gourmet food wagon called Kaki Lima. Typically, one doesn”t find extremist ideologues running this type of customer-service-driven business. If Ann Coulter were to open a taco stand or Al Sharpton a kosher deli, there”d be trouble. Most people don”t want to buy food from someone who appears hostile to them because of race, religion, or ethnicity. Gelling has no problem spreading racist misinformation in his posts, and attacking white people as racists via his tweets, yet even with contempt for a sizable part of his audience, he still wants to be hired”by the very people he denounces”for catering gigs. After establishing cordial email contact with Gelling, I asked him if he is okay with serving customers who are white. He refused to answer. That’s a bit troubling. I also asked if he is okay with having black customers, and he refused to answer that question, too. Why did I include black people along with whites as people who might not feel totally comfortable paying good money for Kaki Lima’s wares? 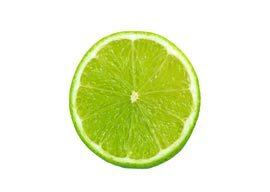 Racist limes, that’s why! Gelling and Pratiwi (who was named “the queen of Indonesian street food” by Boston magazine) list their favorite specialty as “kaffir limes.” Kaffir limes are often referred to as makrut limes. Why is the word “kaffir” avoided? Because it’s the equivalent of the N-word. “Kaffir” was adapted from the Arabic kafir (infidel) by white South Africans as a way to describe black people as heathens and subhuman beasts. Its use in present-day South Africa is legally actionable.